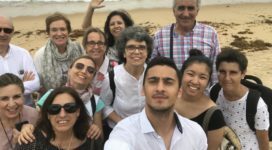 Summer Break: A Gesture of Solidarity Before the Well-Deserved Holidays! Thanking you for your attention and support during this first half of the year, we ask for a small gesture of solidarity before the well-deserved holidays. 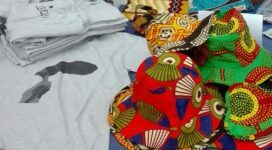 Harambee in support of young African entrepreneurs. R.D. 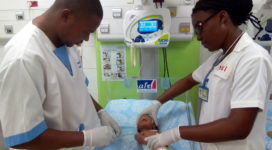 Congo: Sent a Contribution to Train Nurses in Kinshasa. Strengthening the Higher Institute of Nursing (ISSI) in Kinshasa to improve the training of nurses. Harambee 2018 Work Camp : 25 young girls ready to go! 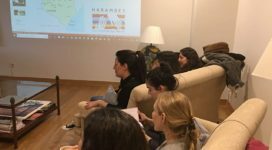 On 22 July, 25 young girls will leave Spain for a voluntary experience in Kenya. More than 20 years have passed since the genocide in Rwanda and the country has taken enormous steps to overcome psychological and physical violence. 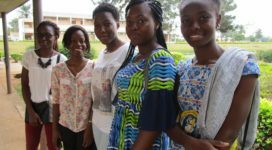 Travel with Purpose 2018: Back from Ivory Coast. This is the journey that Harambee makes every year to know and evaluate the projects set up in Africa. 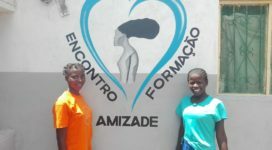 Mozambique: the story of Rosalina and the project that changed her life. 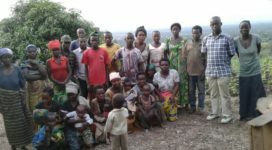 In Burundi, in support of Batwa people. 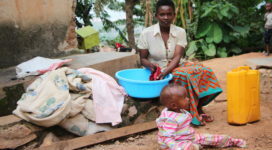 Mrs BIBI is a widow and alone takes care of her son Minani and three other girls who have been entrusted to her, being orphans of parents. World Malaria Day 2018. The nurses of Mont-Ngafula (R.D. 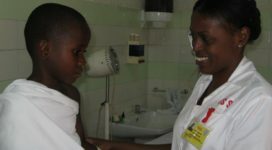 Congo) fight malaria with education. 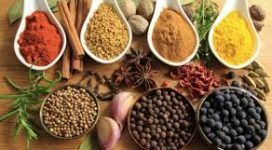 Harambee USA: Senegalese cooking class scheduled for April 27, 2018. 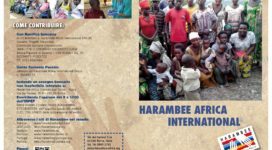 On April 27, 2018 Harambee USA Foundation is hosting a cultural activity by holding a Senegalese cuisine cooking class at Alderton Center in NYC. Togo. 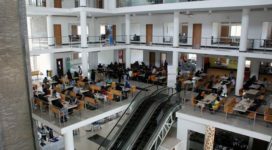 For 158 Lomé youngsters there is now an alternative to street life. 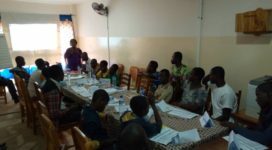 The project of social reintegration of the youngsters of Lomé-Togo has been completed. Some Highlights on Health care in Africa. We present a short paper on the current condition of health care in Africa, by the Harambee Cultural Committee. South Africa. 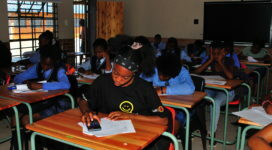 120 students on the outskirts of Johannesburg find the right motivation for a better future, thanks to the Harambee project. With the last tranche sent (Euro 3,447.15) to the project: “Support to Protea Glen High Scool” of Soweto – South Africa, the activites have been completed. 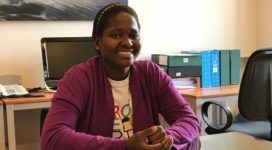 Ebele Okoye, Nigerian, is the 2018 Harambee Award for the Promotion and Equality of African Women. 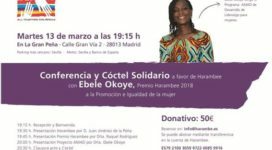 The Harambee Award for the Promotion and Equality of African Women has been awarded this year to Dr. Ebele Okoye, pharmacist, who will receive her prize in Madrid this coming March 13th. 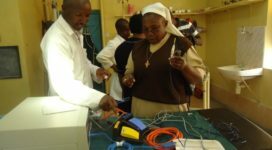 The extremes of healthcare in Africa. By Mathew Otieno, Nairobi. From one country to another, living and dying could not be more different. February 28th is Rare Disease Day, a worldwide observance co-ordinated by the Consumers, Health, Agriculture and Food Executive Agency of the European Commission. 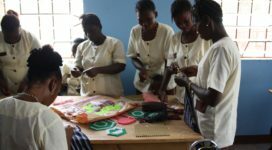 Among many difficulties and some delays, the short-term vocational training project for 50 Ethiopian young people, set up by Harambee, Operation Rescue Ethiopia and the “Nessun Luogo è Lontano” association, is moving ahead with success. Togo. A € 7,200 contribution was sent for the social reintegration of the homeless children. There are 72 children currently attending a course of literacy for their next entry in school. Solidarity Study: at the Punta Sveva Cultural Center in Bari the girls are studying for Africa. Sierra Leone. 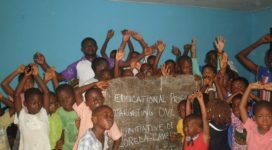 8.000 Euros have been sent in support of children and women at Makeni. Portugal. Special Award Ceremony for Documentaries for the 7th edition of the “Comunicating Africa” Prize. 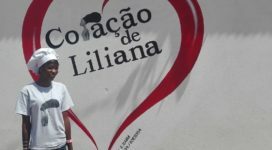 Mozambique, the story of Liliana. Liliana lives and works in Tete. She is 20 years old and comes from Mutarara, one of the districts of the province of Tete, in Mozambique. 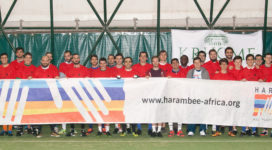 On Saturday, December 16th in Rome, a Christmas football tournament was inaugurated to support Harambee projects.